How Can It Impact My Business? 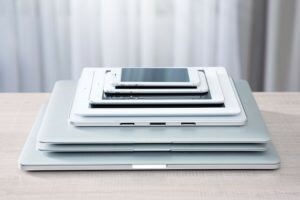 Many questions arise when it comes to mobile device management. What happens if an employee loses their device or leaves the company? Is your company’s information safe, secure and backed up? Can employees work from anywhere at any time using this service? According to www.webopedia.com, mobile device management is a type of security software used to monitor, manage and secure employees’ mobile devices that are utilised across multiple mobile service providers and operating systems. With mobile device management, there are so many opportunities to take your business to the next level. You have the ability to oversee company-issued devices and control how devices are used within your office. Take a look at the benefits of mobile device management and the reasons why your company needs it now. With mobile device management, you can protect against stolen or lost devices and former employees with company information on their personal mobile devices. You have the capacity to quickly and easily erase confidential information from any device. Having up-to-date systems is vital to the success of your company. With mobile device management, these updates can be centrally controlled and audited, protecting your data and devices. You can be confident in knowing that a Computer Troubleshooters expert can help you retrieve control of the mobile devices in your company! Provide your business with the flexibility of mobile device management. When you take advantage of these features, you can increase productivity in your organisation without compromising the safety of your business. To find out more about this service and how it can benefit your business contact your local office! https://computertroubleshooters.co.uk/wp-content/uploads/2017/05/mobile-devices.jpg 200 300 ctuk.admin https://computertroubleshooters.co.uk/wp-content/uploads/2018/11/computer-troubleshooters-3.png ctuk.admin2017-05-08 14:46:222018-09-21 17:11:51What is Mobile Device Management?